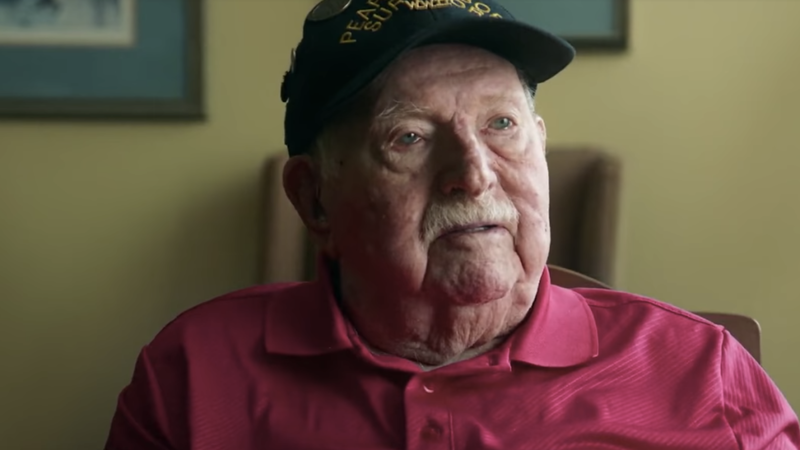 On the morning of December 7, 1941 Paul Kennedy found himself staring straight at an incoming Japanese fighter plane. 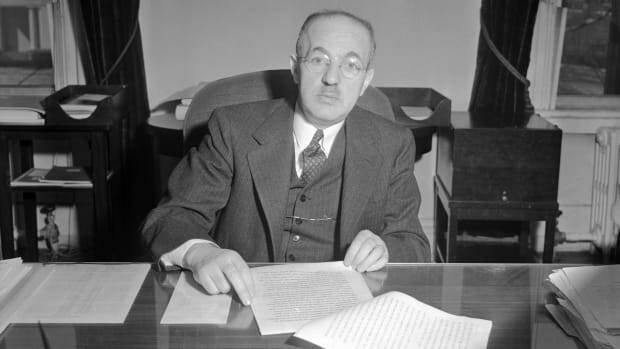 Paul Kennedy was expecting to sleep in on the morning of December 7, 1941. He had been on deck duty on board the U.S.S. Sacramento at Pearl Harbor until 4 a.m., then grabbed coffee with a buddy and hadn’t gone to bed until 5:30 a.m. 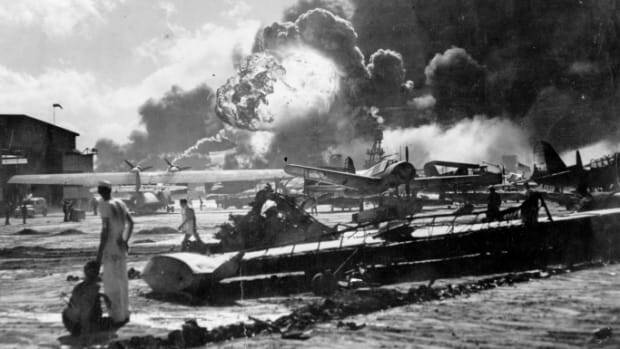 So, when alarms sounded at around 8 a.m. as a swarm of Japanese warplanes began a ferocious assault on the U.S. Naval Base, Kennedy thought it was a drill and tried to tune it out. Soon, a chilling encounter with one of the Japanese pilots who was dropping torpedoes on the U.S. fleet that morning, would become seared in Kennedy’s memory. The Japanese attack at Pearl Harbor not only took then-21-year-old Kennedy by surprise, it shocked the nation. 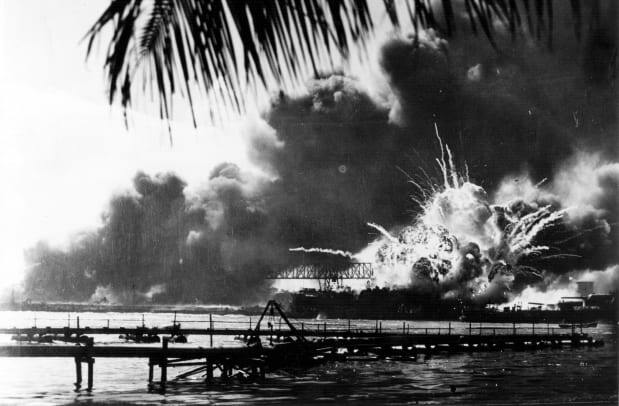 The attacks, which killed 2,400 Americans and wounded 1,200, struck a devastating blow against the U.S. Pacific Fleet. 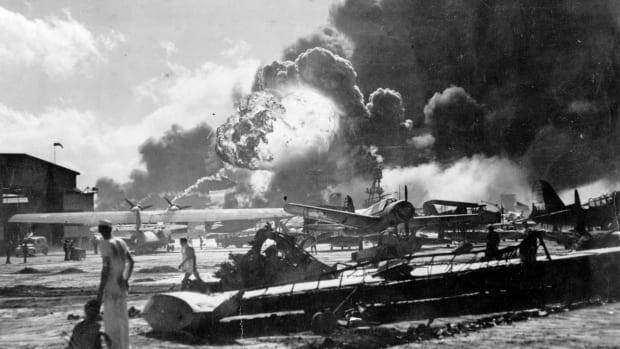 Five U.S. battleships, three destroyers and seven other ships were taken out and more than 200 aircraft were lost in the rain of Japanese bombs and gunfire. The assault pulled the United States into a war that it had, until then, resisted joining. The following day, President Franklin D. Roosevelt called December 7, 1941 "a date which will live in infamy" and Congress declared war on Japan. For Kennedy, who described feeling “so much anger” as the day unfolded, the start of the attack was particularly ominous. After being roused by his shipmate, Kennedy, still in his underwear, ran up a ladder to the ship’s deck. As soon as he emerged, he was overwhelmed by an approaching Japanese fighter plane. Paul Kennedy during his HISTORY interview, 2016. “Right above me, about 20 feet above my head, was a torpedo plane with a big torpedo,” Kennedy recalled. “And that’s not a way to wake up.” As the plane approached, Kennedy said he was close enough to see right into the cockpit. “He was going low and slow, because he was getting ready to drop that torpedo as soon as he cleared our ship,” Kennedy said. “And he had his canopy back and was looking down at me—and I was looking up at him. I guess I looked pretty funny in my shorts and my skivvies.” Kennedy said he later learned the pilot was Mitsuo Fuchida, a captain in the Imperial Japanese Navy Air Service who is credited with leading the first wave of attacks at Pearl Harbor. The U.S.S. 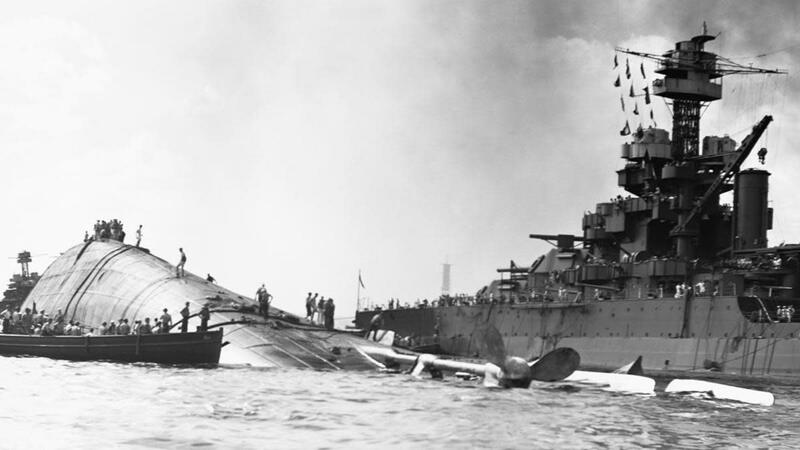 Oklahoma floating capsized near the USS Maryland. In the end, 429 crewmen on board the Oklahoma were killed. Kennedy was horrified by the sight but had no time to dwell on the tragedy. He suited up and ran to his station on a flying bridge to hoist flags as a signalman. Then Kennedy experienced his own brush with death as he saw a Japanese fighter plane drop a bomb on the nearby U.S.S. Pennsylvania and then bank toward his own ship. 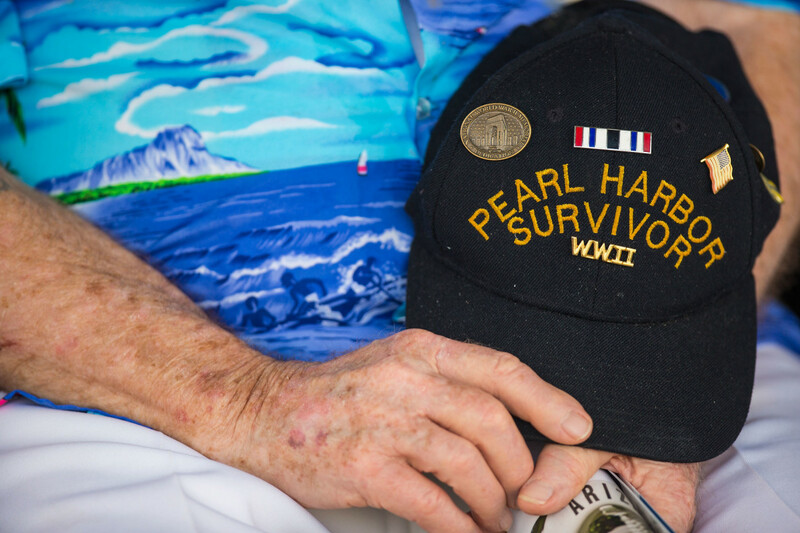 Pearl Harbor Survivor Paul Kennedy of Indiana holding his hat during the singing of the National Anthem at the 71st Annual Memorial Ceremony on December 7, 2012. 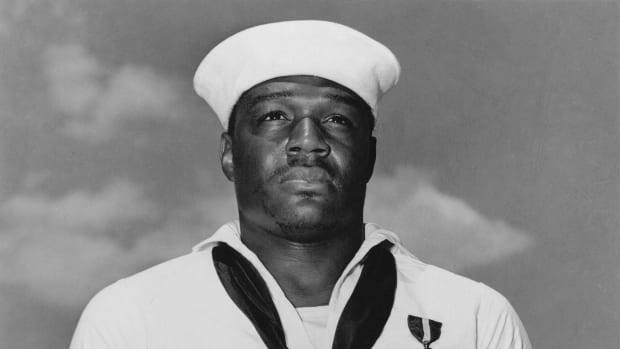 Kennedy survived that day and went on to serve in the war through July 1945 on two other ships, including a submarine-chaser and the USS Poole, a destroyer. While serving on the Poole, Kennedy earned a Purple Heart after being hit by machine-gun fire from a German submarine. But for Kennedy, death never felt as close as it had on December 7, 1941 when he dodged bullets and saw dozens of bodies of his fellow sailors in their white uniforms floating face-down in Pearl Harbor’s oil-soaked waters. 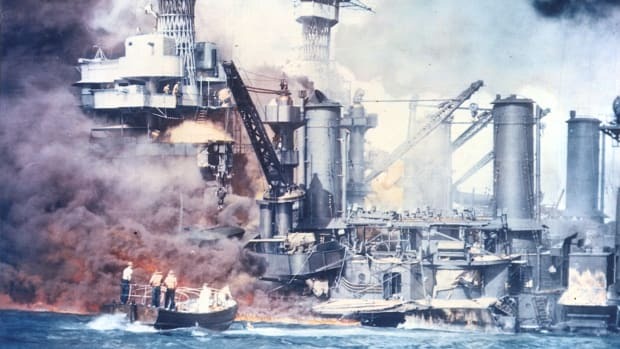 The devastating Japanese attack took the nation by surprise, but it failed to deliver the decisive blow Japan had hoped for against the U.S. Pacific Fleet. No U.S. aircraft carriers were at Pearl Harbor on the day of the attack and the Japanese assault failed to take out U.S. ammunition sites. And, as for morale, Kennedy said that, while he and his fellow seamen were caught off guard, they quickly settled in for a fight. Paul Ivan Kennedy died on December 2, 2017. He was 96 years old.